I am writing this post in pure excitement. 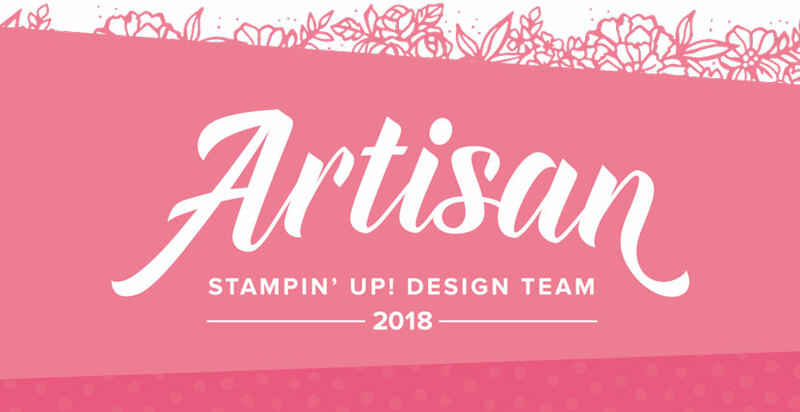 I am really excited to announce that I am a member of the 2018 Stampin' Up! 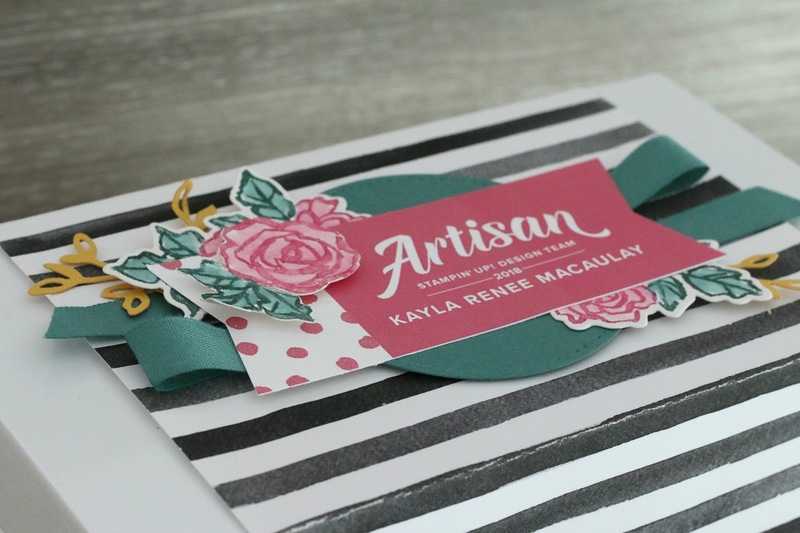 Artisan Design Team and I can't be more thrilled. It really is a dream come true and one that came out of the blue and really made 2017 shine! It has also been the hardest secret to keep, let me tell you! But now that Onstage 2017 has been and gone and the announcement was made, I can share it with you all! 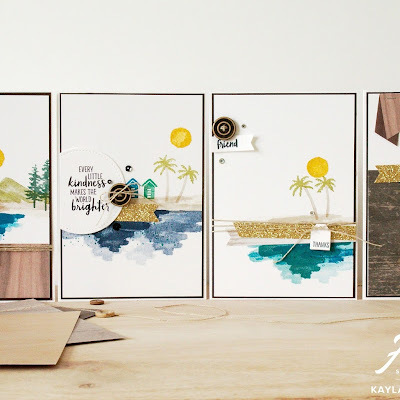 I am so excited to share with you my upcoming journey being on the Stampin' Up! ADT team. I hope you enjoy following my journey through 2018. Here is a look at me onstage with the lovely Bonnie from Stampin' Up! 's US head office. She is a lovely lady and I was so thrilled to have been called up on stage to accept my position and a gorgeous gift from her. 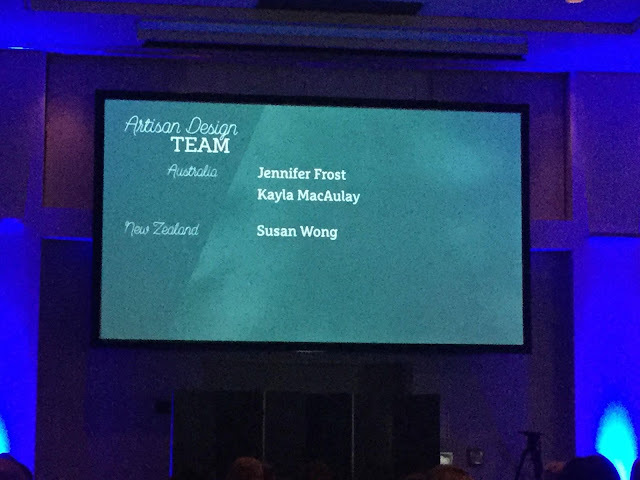 A look at the South Pacific Artisan Design Team on the screen at Onstage. So thrilled to be amongst this talented group of ladies. Words can't describe how blessed I feel. 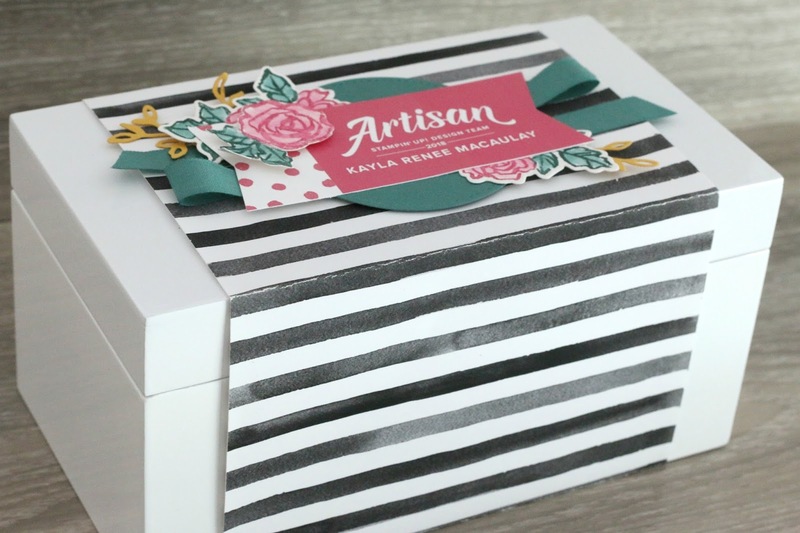 Here is a look at the stunning gift that I received for joining the Artisan team. Isn't it beautifully presented? It came in a gorgeous white hard wood box beautiful decorated by head office, with a personalised name tag on top. This also happens to be my watermark for the upcoming year. Feeling so special! A close up of the decoration on the top of the gorgeous box. In my excitement when I showed my partner I said, "Oh my goodness, it's TIFFANY!!" and he replies and says, "Who's Tiffany????" You can imagine my response. 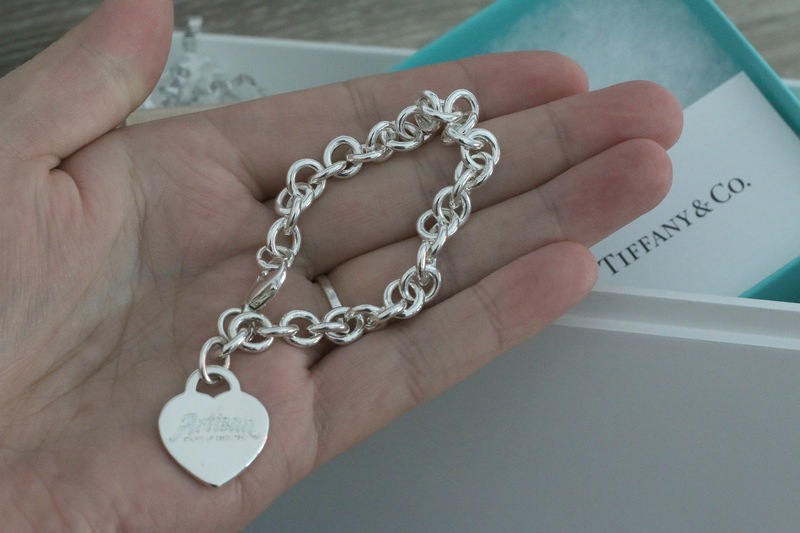 Inside was this GORGEOUS bracelet with the heart charm even personally engraved with Artisan Design Team. What a stunning memento this is and will be treasured forever! 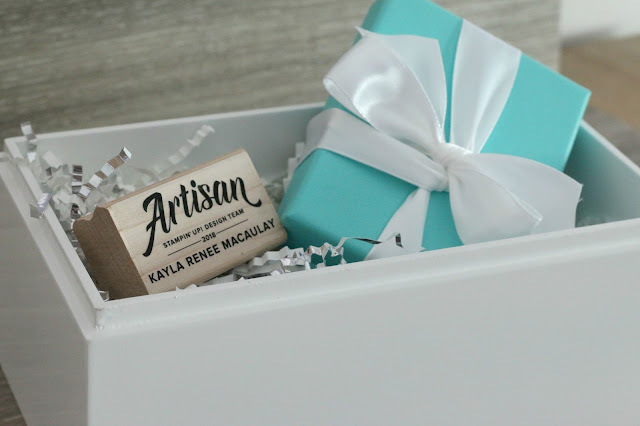 I hope you enjoyed this little sneak peek of my Artisan acceptance and gift. 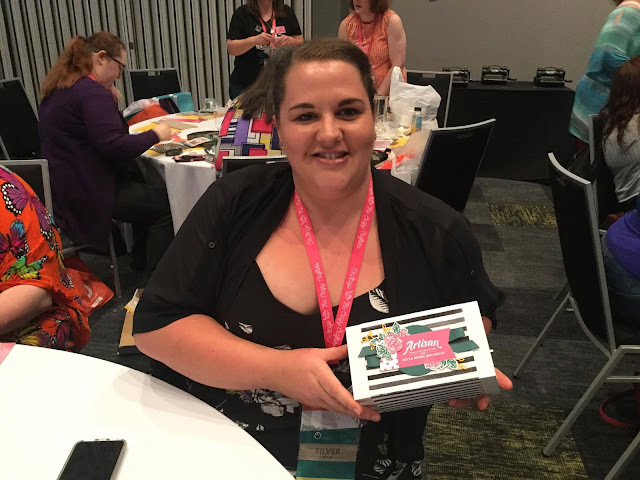 I am so thankful that I got to share my moment with lots of Crazy Crafters from Kylie's Crazy Crafters and the rest of those that attended the Melbourne Onstage event in Australia. 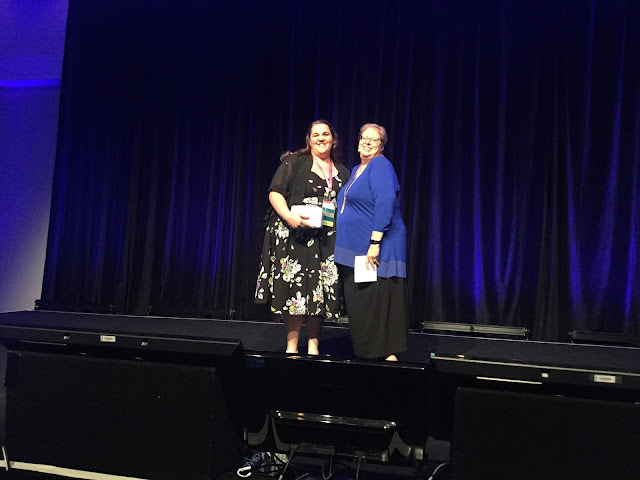 It was a fantastic and mind-blowing experience that I have my beautiful up line, Michelle Mills and her up line Kylie Bertucci to thank for. I would never have had the courage and inspiration to put myself out there without their encouragement and support so a huge thanks goes out to them. 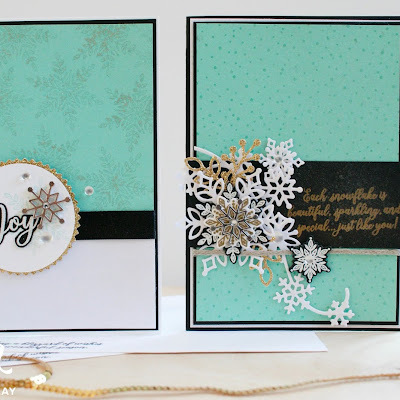 Also to my team, The Sassy Stampers, The Hello Daysies and the Crazy Crafters. I'd be lost without you guys. I am also super thankful to be sharing my Artisan Design Team experience with these lovely ladies from around the world and can't wait to work with them over the next year. 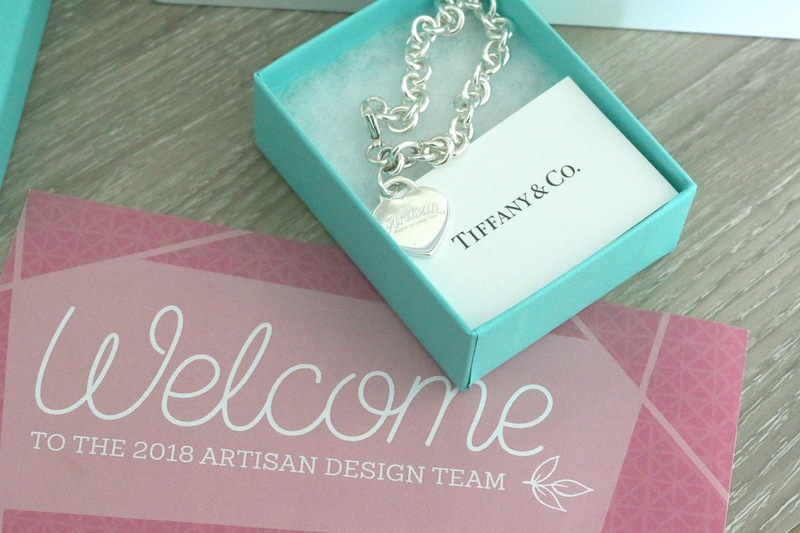 I can't wait to share my 2018 Artisan Design Team experience with you and thank you all for reading my blog, leaving me love and for those that have sent me lovely congratulations messages so far. 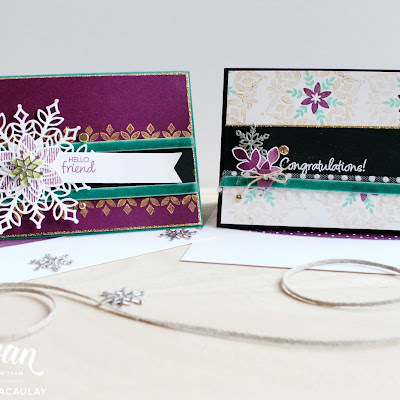 I love you all and Happy Stamping! I will be back soon to share lots more lovely things from my Onstage experience. ADT Team, Artisan Design Team, Design Team, Onstage, Onstage 2017, Onstage Melbourne, Stampin' Up! Congratulations!! This is going to be such a fun year and the experience of a lifetime! Can't wait to see all the inspiration you share. Loads of love, my friend!